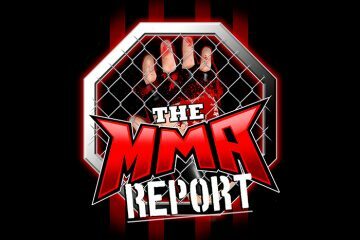 This week on The MMA Report Podcast, Jason and Daniel take a look back at UFC 223 and Jason has interviews with Bellator 197’s Brandon Girtz, AJ McKee, and Justin Lawrence. The guys get the show by discussing Conor McGregor’s actions last weekend in Brookyln and the explain how the situation could have gone worse than what it did. After talking about McGregor’s current situation, they look back at the fights that took place at UFC 223 including the dominating performance by Khabib Nurmagomedov to claim the UFC lightweight championship. They continue the UFC talk going by looking ahead to this weekend’s UFC on FOX 29 and discuss some of the fights they are looking forward to watching. Then they turn their attention to Bellator as the promotion was in Budapest for Bellator 196 and the event was headlined by Benson Henderson defeating Roger Huerta by submission. They talk about Benson’s great performance, the television ratings being under 500k, and the overall lack of interest in the event. 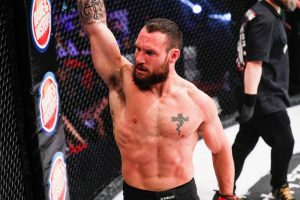 Then it’s on to this Friday’s Bellator 197 and Jason let’s you hear his interviews with Brandon Girtz, AJ McKee, and Justin Lawrence. 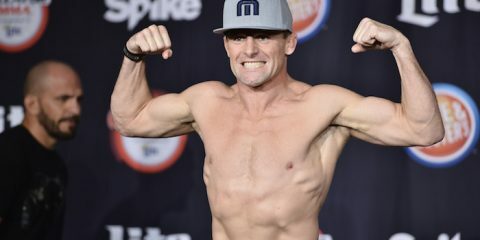 Girtz will be in the main event as he will take on Michael Chandler in a key lightweight matchup and McKee will face Lawrence in the co-main event of the fight card. Following the interviews, Jason and Daniel speak about several fights on the Bellator 197 fight card and they end this week’s podcast by discussing various mixed martial arts news stories.